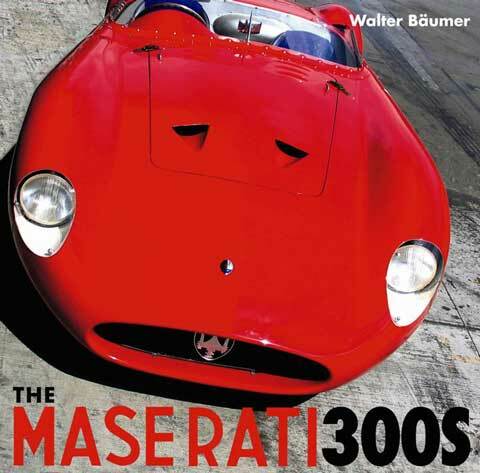 Hard to imagine that there’s a living to be made being a full-time Maserati historian but that’s just what German photographer (mostly fashion) and car enthusiast Walter Bäumer decided to do in 2003. Incidentally, he also is the editor of the German Maserati Club’s excellent magazine Der Dreizack (The Trident). Supremely beautiful and possibly the best all around sport racing car of the 1950s—if the votes of the likes of a Moss, Fangio, or Behra matter—the fabled Vittorio Bellantrani-engineered Maserati 300S of which only 26 copies were built between1955–1959 caught Bäumer’s eye in the 1990s when in an idle moment he picked up a long-forgotten Maserati book in his library. 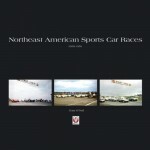 Following a survey of the basic technical attributes, a description of the three different 300S body versions, and a photographic tour of where on a car to find chassis and engine numbers the book portrays the Maserati firm’s place in the world in the 1950s and the various Italian racing teams that ran Maseratis after the firm closed its in-house race department in 1958. Particulars of the World Sportscar Championship of those years and racing in the Americas lead to a discussion of Maserati’s sales operations in the US and advertising in general. 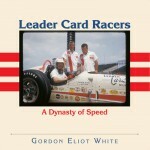 The following 220 pages examine each of the 26 chassis (of which four were renumbered) individually in exacting detail, from build sheet details to competition history or private use to ownership history and ending with a table enumerating race history by date, driver/s, starting number, and finish. While there is no shortage of text, pride of place goes to the photos, many of which are large—a very few possibly too large for their own good as they are becoming fuzzy (unless it was just poor-quality source material to begin with). As applicable, period photos are augmented by modern ones. Captions are brief but specific and state the source. Race posters, magazine covers, sales brochures etc. add layers of detail. Closing chapters present the dozen mystery cars that appeared in races but cannot be definitively identified (due to shoddy record-keeping, ambiguous sales history or the like), the 350S successor model, and mini bios of the “name” professional drivers. The Index is divided into cars and people. Whatever revision this book may need or receive in future will likely concentrate on the mystery cars which meanwhile will make for endless discussion. While unrelated to the book, it is worth the few words to point out that Bäumer’s uncle was a Mercedes-Benz GP driver in 1937–39 who won the (shortened) 1940 Mille Miglia and was bizarrely killed in 1941 falling out of his own moving car.